The Churchill Project - Hillsdale College > Articles > Truths and Heresies > Churchill and the East > Did Churchill Cause the Bengal Famine? 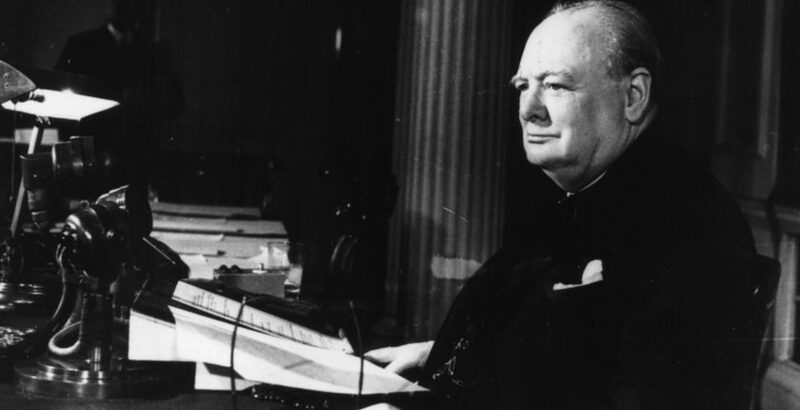 Did Churchill Cause the Bengal Famine? One can sense Churchill’s frustration. Whatever they did, however they wriggled, they could not appease the continued demands from India—even after calculations showed that the shortage had been eased. I am seriously concerned about the food situation in India….Last year we had a grievous famine in Bengal through which at least 700,000 people died. This year there is a good crop of rice, but we are faced with an acute shortage of wheat, aggravated by unprecedented storms….By cutting down military shipments and other means, I have been able to arrange for 350,000 tons of wheat to be shipped to India from Australia during the first nine months of 1944. This is the shortest haul. I cannot see how to do more. There is no doubt that in those fraught weeks Churchill said things off the record (but duly recorded by subordinates) that were unworthy of him, out of exasperation and the press of war on many fronts. There is no evidence that Churchill wished any Indian to starve; on the contrary, he did his best to help them, amidst a war to the death. 2 Richard M. Langworth, Churchill in His Own Words. London: Ebury, 2012, 576. Quoting Cordell Hull in 1948. 3 Winston S. Churchill, “Speech Given to the House of Commons,” 8 December 1944, op. cit., 325. Greece at the time was experiencing a famine under Nazi occupation. 4 Martin Gilbert, ed., Winston S. Churchill: The Churchill Documents (Hillsdale, Michigan: Hillsdale College Press, 2006 and ongoing). 5 War Cabinet Meeting, 7 October 1943, Confidential Record (Cabinet papers, 65/36). Arthur Herman wrote: “We might even say that Churchill indirectly broke the Bengal famine by appointing as Viceroy Field Marshal Wavell, who mobilized the military to transport food and aid to the stricken regions (something that hadn’t occurred to anyone, apparently).” See “Leading Churchill Myths,” Churchill Centre, The Bengali Famine (accessed 10 November 2014). 8 Winston S. Churchill to William Lyon Mackenzie King, 4 November 1943. Prime Minister’s Personal Telegram T.1842/3 (Churchill papers, 20/123). 9 Churchill to King, 11 November 1943. Prime Minister’s Personal Telegram T.1942/3 (Churchill papers, 20/124). 10 King to Churchill, 13 November 1943, Prime Minister’s Personal Telegram T.1961/3 (Churchill papers, 20/124). 12 Ibid. Burma’s fall to Japan cut off India’s main supply of rice imports when domestic sources fell short in 1942. 13 War Cabinet: Conclusions, 14 February (War Cabinet papers, 65/41). 14 Winston S. Churchill to Sir James Grigg, 19 February 1944, Prime Minister’s Personal Minute M.147/4 (Churchill papers, 20/152). 15 War Cabinet: Conclusions, 21 February 1944 (Cabinet papers, 65/41). 16 War Cabinet: Conclusions, 20 March 1944 (Cabinet papers, 65/41). 18 War Cabinet: Conclusions, 24 April 1944 (Cabinet papers, 65/42). 20 Winston S. Churchill to President Franklin D. Roosevelt, 29 April 1944. Prime Minister’s Personal Telegram T.996/4 (Churchill papers, 20/163). 21 Roosevelt to Churchill, 1 June 1944. Prime Minister’s Personal Telegram T.1176/4 (Churchill papers, 20/165).